Toby is our first fully modular collection. 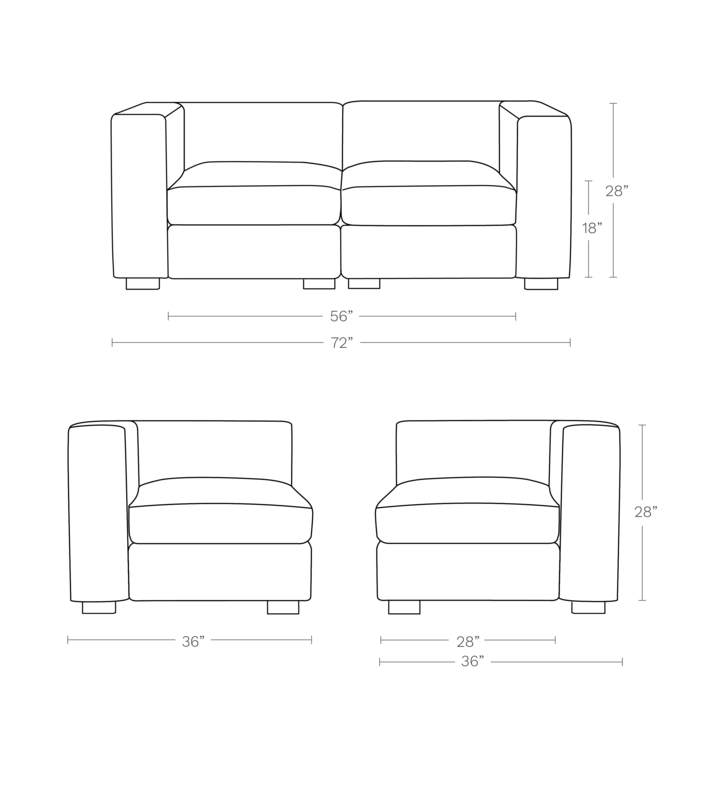 Choose a single chair, build a sofa or pit sectional, or build your own unique configuration. Toby’s assortment of chair, chaise, and ottoman units are all sized to easily mix and match, allowing you to arrange and rearrange to suit your shifting needs. Toby balances an upright sit with an overall relaxed design. Firm seat cushions, a tight seat back, and a 28-inch seat depth create a feeling of support and structure that works well in professional settings. At the same time, an ample eight-inch thick arm and back adds comfort, and also doubles as a book or coffee rest, or even a seat. 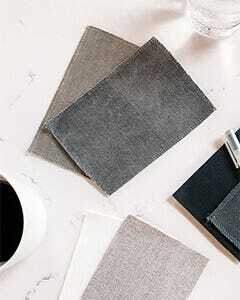 Thoughtfully rounded corners soften the frame’s otherwise straight lines. Chair, chaise, and ottoman units are all sized to work together, so you can easily arrange and rearrange.